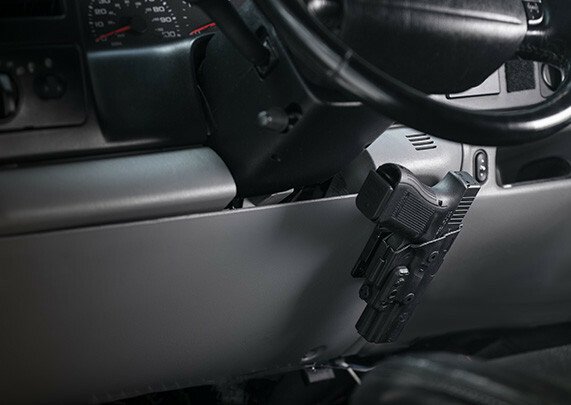 The Springfield XD is one of the pistols that's capable of doing it all as it's large enough to be a service pistol but streamlined enough for use as a concealed carry gun - why not have a Springfield XD holster that can do the same? It used to be that you needed a specific XD holster for a specific task, such as one for open carrying, one for normal IWB carry and one for appendix carry if so desired. But what if you didn't have to? Alien Gear's ShapeShift isn't just a holster. It's a modular carry system that gives you multiple options, allowing you to carry exactly how you want to, when you want to. 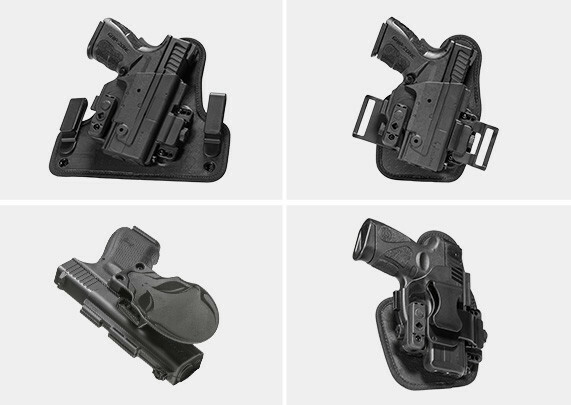 With the included components in the base kit, up to four primary configurations are available, including two XD IWB holster configurations and two OWB holsters for XD pistols. The secret to the ShapeShift is the shell system. 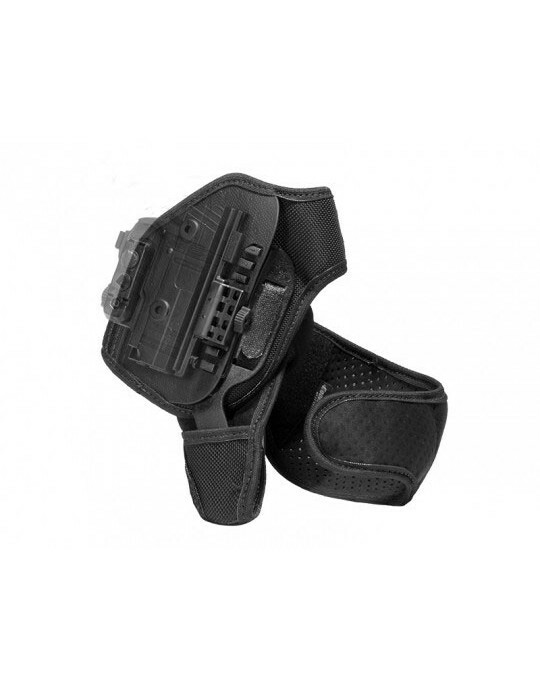 Included with your XD holster system are one full Shift Shell and two trigger guards. The shells fit together without needing tools, using our proprietary friction-locking rails and twist locks. Use the appropriate shells and holster backer to create the XD holster configuration of your choice. If you want to use the ShapeShift as an XD IWB holster, there are two included IWB backers. Attach a trigger guard shell to one of the full length shells and select the backer of your choice. One of the backers is a traditional winged IWB holster backer, with attached belt clips. You may recognize it as being nearly identical to our Cloak Tuck 3.0 holster, with the same steel core, neoprene backpad and Alien Skin top. Attach the full and half shell and carry as a normal IWB holster. If you prefer appendix carry, attach the same shells to the included smaller backer, and install the larger appendix carry clip - and you can use the ShapeShift as a Springfield XD appendix carry holster. However, if you prefer to conceal with an OWB holster, you may attach the belt slide clip to the ShapeShift on the smaller backer. This set-up allows the holster to be used as high-riding OWB belt slide, easily concealing under an untucked shirt or light outerwear. You can also configure the ShapeShift for use as an XD paddle holster by assembling the two full-length shells and inserting the paddle attachment. 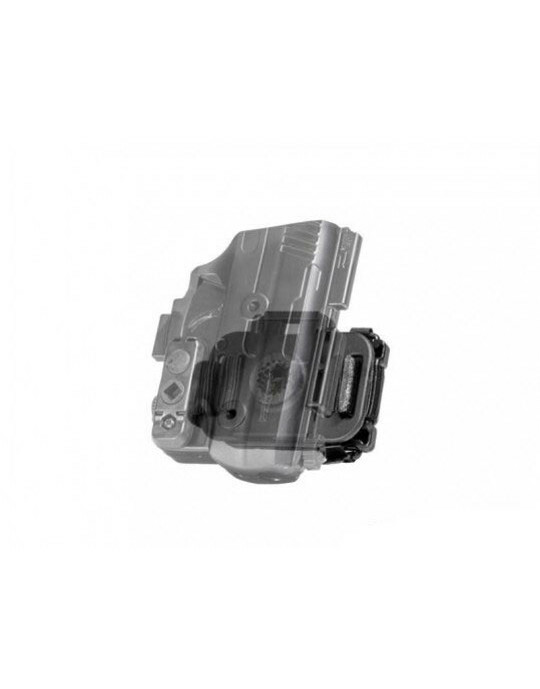 Holster retention is also customizable with the ShapeShift. For passive retention, there are three included retention bars that deploy on the trigger guard shells providing light, medium or heavy passive retention. We have also built in active retention devices. The ShapeShift can deploy a thumb-release or finger-release trigger guard lock - or both. An optional thumb strap is also part of the ShapeShift, giving you up to Level 4 retention if desired. The ShapeShift also comes with Alien Gear's Iron Clad Guarantee - including a 30-day "Test Drive" trial period. 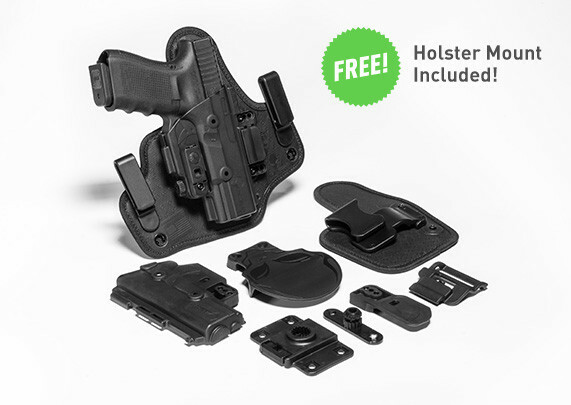 Take up to 30 days to wear the holster and decide whether it's the carry system you wished it could be. If not, contact us before the end of the trial period and we'll buy the holster back. We also extend a lifetime warranty for the holster. Any issues that arise with your ShapeShift, whether due to defect or damage, we will fix it or we will give you a whole new holster. So long as you own it, we will do everything we can to keep it in working order or replace the holster outright. Received my ShapeShifter very quickly. Only took a few minutes to figure it out. I live in a rural area, and can carry openly around the property, yet in a few moments swap to IWB, should I have to run into town. So far, seems to fit well and is very comfortable. Much better than a drawer full of expensive holsters I hate.